It's time for the 2nd event in the Spring Gift Card Event - Yay! :)! Good luck to everyone, and thank you for entering! Be sure to check back in May for the final giveaway event :). Mama to 4 Blessings, Chubby Cheeks Thinks and Rats and More along with several other wonderful bloggers are teaming up to bring you The Spring Gift Card Event (round 2/April)! For the Spring season we will be offering a new gift certificate giveaway each month of Spring! 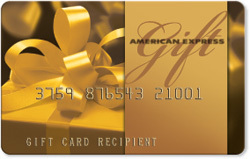 For April we are offering a $75.00 American Express Gift Card! Disclosure: Giveaway prize is being provided by Mama to 4 Blessings. No companies are involved. Facebook is in no way, associated with this giveaway. This giveaway will end on April 24th, 2012 at 11:59pm. Thanks for hosting this Amanda!